Like all people in all ages, the inhabitants of London in 1666 had their own slang and language. Some are words we still used to day. Some are very alien and reflect a long lost world, yet a world inhabited with people like you and I. They were full of the same fears, desires, longings and weaknesses each of us have and use these words to express them. If these phrases seem off just consider for the moment how many words we bandy around today will be in common use in three or four hundred years. Here are 26 words in common use in the 17th century. A thirsty man in 1666 would more likely drink beer, wine or coffee but just as today if a clean source would be found might enjoy Adam’s Ale – water. A stupid fellow of little wit might be called a blunderbuss. Hens laid cackling farts or eggs! If you decided to beat the living daylights out of someone you dumbfounded them.Â InterestingÂ how that has lingered but has a different meaning of to get the better of or to confuse someone. Another name for an oak tree was English Cane. If you were hungryÂ youÂ might ask forÂ Florentine – a dish made from minced meat, currants, spice and eggs. If someone had good eyesight you might say they had rum glaziers. A Housewife was a Â hussy – which eventually became the insult we have today. An implacable enemy was an inveterate. If you earned a guinea you were given a job . Another name for a chamber pot was a looking glass. To kill was to mill them. Thus to mill a grunter was to kill a pig. Nutcrackers was a name for the pillory in which a thief might be placed asÂ punishment. A rick man was an oak. If you stabbed someone with your porker you has just attacked them with a sword. If you could not pay your bills you were sent to the Quod -Â debtorsÂ jail or Newgate Prison. If you took a coach journey you were riding on a Rattler. Presumably with all the bouncing around on it or in it. If theÂ cityÂ watch were after you you would Scowre away – scamper or scuttle – run very fast to evade capture. Led astray by a something that turned out to be a red herring? In 17th century you had been fooled by a Yarmouth-capon. If the king was hungry he might summon a Yeoman of the Mouth – a servant from the pantry! 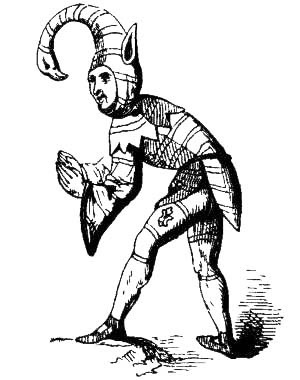 A zany – was a name for jester. This is incredibly useful Richard, so thanks for posting it. I’m off to check out the slang dictionary. What I wonder is how much the slang varied over the century. Nobody says “groovy” or “hip” any more (except ironically), or even uses “bad” to mean “good” as they did in the eighties. So language evolves quickly, especially when you’re talking about slang which is designed to exclude those people not in the know. And that’s part of the point of having slang for the criminal underclass, so their targets don’t know what they’re talking about. Thanks for that. Yes I think slang does evolve at great speed – each generation certainly evolving their own special terms.